If you want to achieve top-tier financial and lifestyle goals, you’re probably thinking about becoming an entrepreneur, so you can be self-employed and hopefully earn more. While this is certainly one way to get where you want to go, keep in mind that building a successful business isn’t easy. It’s often very different to the dream and typically a whole lot harder than you can imagine. Unfortunately many entrepreneurs also end up losing a huge amount of money rather than making it. It is possible, though, to hand in your resignation, walk away from a job you don’t like or are sick of and build the business that will make your dreams come true; you just need to take some important steps first, so you protect yourself and make success more likely. Read on for some of the most vital things you must do before you put up the “Open for Business” sign. Too many people end up with a business that doesn’t work because they don’t take the time to do research first. There are many elements to look into, but in particular you need to understand who your direct and indirect competitors are and what they offer to the target market. Know how they sell their wares and at what price points. You need to know what kind of customer experience they provide, where they advertise or otherwise market their wares and the pain points they solve for people or benefits they provide. You should also get clear on exactly who they’re targeting their goods or services to. Once you have all this data, you will know how to ensure what you offer is different. This is the only way to stand out and gain traction. Similarly, spend time finding out about the people you want to sell to. Who, exactly, are your ideal customers, and what are they looking for? Will there be enough of them to give you a decent-sized market? Where, when and how do these people like to browse and buy, and what kinds of work do they do? What about their family status and lifestyles? The more you know the better, as this will help you to tailor your business and its processes accordingly. It’s certainly tempting to jump right into a business because you’re excited about the idea and about working for yourself, but you need to have knowledge about a variety of topics if you want to be a successful leader and manager. For example, you’ll need to understand things like customer service, finance, accounting, human resources, marketing, sales, technology and more. There are numerous ways you can get the knowledge you need to set yourself up for success. One top way is to enroll in a relevant degree, such as an MBA or other type of business and/or management course. You might wonder how much does an MBA cost, but in truth this kind of preparation probably isn’t as expensive as you think and will also likely save you tens of thousands of dollars, if not more, in costly mistakes. Next, to give yourself the best possible chance of success, it’s also helpful to do some networking before you launch a business. 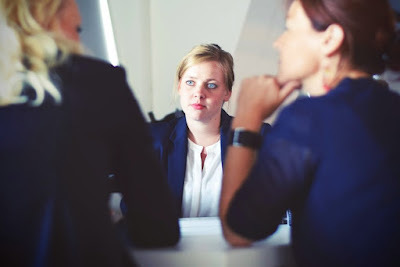 By making helpful connections in your industry, with related companies and entrepreneurs, you will have people there who you can turn to for advice or support. Plus, these people might end up becoming your partners, investors, employees, suppliers, customers, contractors or other key stakeholders as time goes on. Wherever possible, try to spend time working in the sector you plan to open your business in. If you’re already employed in this field, that makes life easier, but if not, see if you can do some work experience or get a part-time or short-term role, so you can learn about the industry and how it works. You may also want to spend time in a business that’s in a different industry but still doing things in a similar way as you plan to. For example, another firm may be disrupting a sector with technology like you want to or have a complete focus on customer service or the like. By working for a venture like this, you will pick up a wide array of tips which you can then implement in your own business. This will save you time, money and energy in the long run. 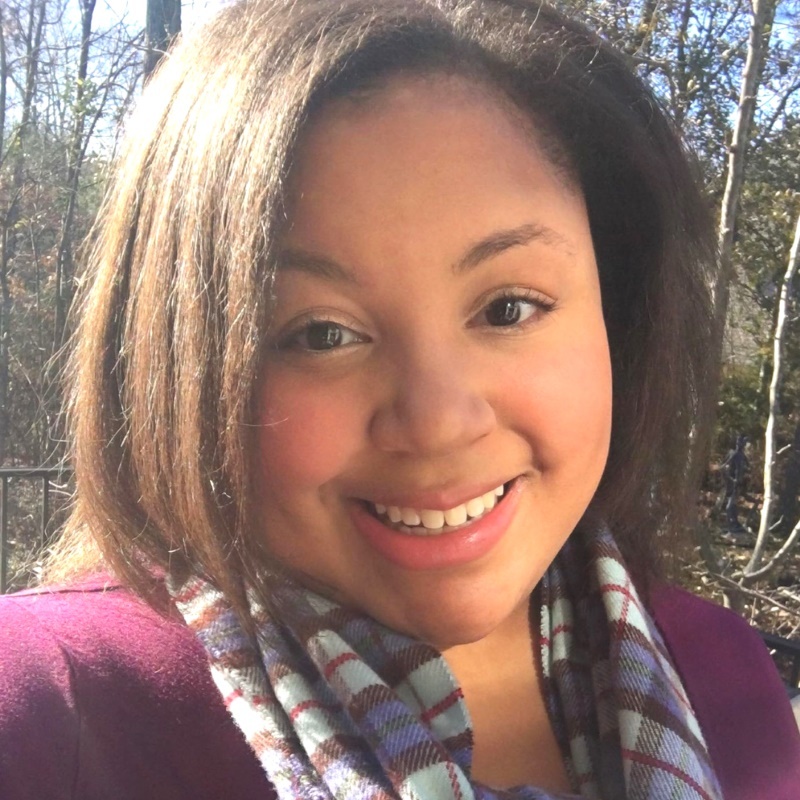 About the Author: Tiffany is a leader in marketing authority, she assists Seek Visibility and our clients in contributing resourceful content throughout the web. Tiffany prides herself in her ability to create and provide high quality content that audiences find valuable. She also enjoys connecting with other bloggers and collaborating for exclusive content in various niches. 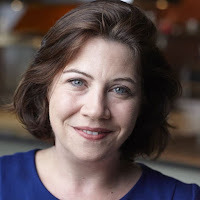 With many years of experience, Tiffany has found herself more passionate than ever to continue developing content and relationship across multiple platforms and audiences. This post originally appeared on DBaileyCoach.com. 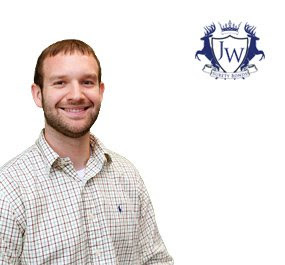 I use the word prosperous, because building a team is of the utmost importance in creating a successful practice. It can really make or break your success. If your team is unmotivated, it will effect how they interact with your patients, their decision-making, and their efficiency level. If they are motivated and connected to their job, they will make great decisions and will be a joy to be around. This in turn will affect staff productivity levels and the experience your clients will have, which directly relate to repeat business and your bottom line. I share eleven guidelines with you on how to hire a great team, as well as how to keep them energized and motivated. 1. Be clear on your criteria. What is important to you in an employee? Look at skill set as well as other criteria, such as people skills and trainability. For example, are they open-minded and keen to learn? A person who doesn’t have a lot of experience, but whom is motivated to be there will be a lot more valuable than a person who has a lot of experience, but lacks enthusiasm for the job. Therefore, the former being very trainable and the latter a red flag. 2. Help them get motivated to their bigger WHY. It’s important that everyone on the team be aware and passionate about the bigger vision of the practice. Share it with them during their interview and make sure you ask why they want to work for you as well. Is it a means to an end or are they actually excited about the position? Pay attention to those gut feelings, especially when someone may “look” great on paper but seems to be “off” in-person. Your gut instincts are never wrong. You can probably look back at a time(s) when you didn’t follow your gut and it ended up backfiring. 3. Know that people are going to make mistakes and that this is okay, especially when they first start working with you. There is a bit of a learning curve and expecting perfection is unreasonable at the beginning and along the way. A great rule of thumb is that you allow for mistakes, but they must figure out what went wrong right away so that it doesn’t happen again. If it continues more then three times, then it’s time to let them go. 4. This is number three’s cousin. You did not hire your employees to become your friends. Of course being kind and respectful are of the utmost importance, but so is being the boss you need to be. You are the CEO (yes you are a CEO), of your practice and it’s important to communicate this so that the boundary lines are clear. I see this all too often with business owners – they are trying to fulfill some type of dysfunctional need deep down and don’t end up being the leader they need to be because they’re afraid to hurt someone’s feelings. You are running a business first and foremost and can have friends outside of work. 5. Communicate all of the expectations upfront in terms of what the role includes along with timelines, etc. This will help to ensure everyone is on the same page from the beginning and will prevent friction in the future. 6. Pay them what the position is worth. Don’t try to short change or find the best deal when it comes to paying your employees. Now this doesn’t mean you need to overpay what the position is worth, but be fair. From an employee’s point of view this shows they are respected and a valued member of the team. This all goes hand-in-hand with doing a great job and enjoying coming into work. 7. Feedback Sandwich. I learned this in Toastmasters years ago, and it has helped me immensely with building my own team. If you want to provide constructive criticism on an issue, start of with praising something they are doing a well first, followed by what needs improving, and ending with more positive praise. People are much more open to accepting feedback if they feel valued and appreciated first. 8. Help them be the best version of themselves. People operate at their best when they feel confident and valued. As above, give them praise. It doesn’t only have to be in the context of feedback. Remember to point out what they are doing well and how much you appreciate them. 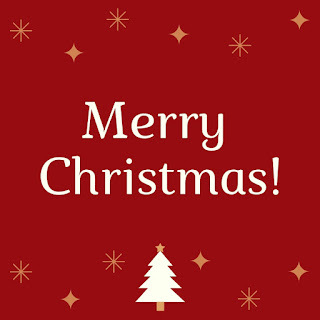 Give them an extra special token of your appreciation like a gift card, a plant or even a bonus. Do something simple like using their name when speaking to them. This is small, but makes people feel special and has a big impact. Say thank-you for their work on a daily basis. Treat them as you would like to be treated yourself. 9. Manage your expectations. As a recovering Type A myself, this can be tough. Expectations are high and it’s a close cousin to perfectionism. Your expectations may not always be reasonable. Check in on this often. Are you trying to be perfect, and therefore asking your staff to do unreasonable things? Know that perfection either comes from not wanting to disappoint someone, or with wanting someone’s approval. It’s likely a parent, and it doesn’t matter how old you are or whether they are alive or not. Go with whomever comes to mind first. There is likely more work to be done around this, but having the awareness is the first step in changing it. Notice where this is popping-up with your clients and practice as a whole. 10. Keep your own inner critic in check. This is similar to number nine, but differs slightly. The harder you are on yourself, the harder you are on your employees (and family too). It leads back to the perfection issue again, but shows up a little differently in this example. If you find you start to “nitpick” at your staff, take a look at your own inner dialogue. Are you operating from a place of positive, loving self-talk? Or are you operating from a critical inner voice where nothing you do is ever good enough? If the latter is happening, you may need to do some deeper work to shift this, but again having the awareness is a big start. You are likely looking at your employees with the same critical eye, where nothing they do ever measures up. 11. Above all else, Be Who You Need to Be. Remember you’re only as good as your worst employee, and only as good as your best employee. You set the tone for the entire practice. The more secure and confident you are, the more this will affect everyone you come into contact with. 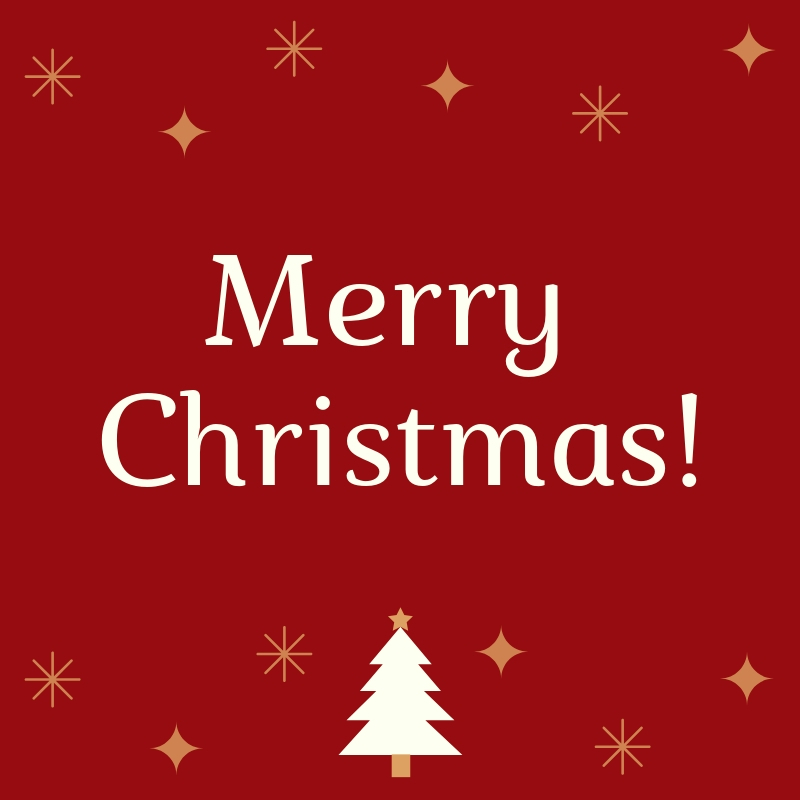 From your employees, to your patients, to even your friends and family. Do what you need to do in order to stay positive first. If you’re worrying about money, get some help on re-writing your money story. If you don’t have enough time off, make the time. You will be in a better place to serve and lead. Enjoy the team you build and watch your practice thrive and soar! Oh, and have a little fun too! I always get asked how exactly I get so much done in my business, and there’s really one secret: Systems. Yes, I’m serious -- Systems! Think about it. If you’re constantly re-inventing the wheel (not following a process or having any automation), then you’re losing valuable time to do even more business-building tasks. According to Forbes, a market research firm IDC reported that companies lose 20-30% in revenue every year due to inefficiencies. Having a system set in place for every single recurring task in your business saves time, ultimately saving money, and ensures consistent quality output produced. Systems make for a smoothly operating business (including the team)! But what systems and processes do you absolutely need? I’m going to reveal a few (but not all) types of systems you definitely need to get work on in your business ASAP. For this one, think of all the channels you use for social media marketing, and have you or a team member write out processes for each one including: how the captions are made, how the pictures and graphics are made, and how to properly schedule the posts on your designated scheduler tool. If this is a big part of your business, note this one and get it done ASAP. Creating blog posts will be SO much faster and more streamlined. For example: How would you write the outline for the post? What’s the process for self-editing and proofreading? Exactly how should the post be inputted and formatted on your website to have a consistent format? Same thing can be applied to email marketing. I can’t give you specific examples for this one, because everyone’s public relation tasks look different - but to get those gears grinding: How would you systematize podcast guest pitching & outreach? How would you go about getting guest blogging spots? These types of systems often get overlooked and never made but are so, so important! Why? Simply put: This takes up tons of time without you even thinking it does, especially if you’re the only one doing it in your business. Team-related systems are HUGE! Your team is one of the core foundations of your business - Without them, you wouldn’t be as far as you are now so making sure you get systems down for managing the team is super important. There are other types of systems you should definitely get in place, but I’ll tap on those at some other point. This should be enough to get you started, and I really hope this gave you some insight and clarity on business systems! I’m an Online Business Manager (OBM) for female entrepreneurs who are ready to take their business to the next level. I genuinely help female online-business owners by taking over almost all of their current operations, business systems, team leading, planning & timelines, launches, and project management. I have a passion and love for animals, worldly cultures, and online business. In the world of business ownership, there are several responsibilities individuals have in order to keep their company operating legally, efficiently, and profitably. Within high-risk industries like construction work, having the right protections in place can make a significant difference in being able to continue a successful run. Both surety bonds and business insurance play a part in providing these protections, but in different ways. To ensure your business is operating the way it should and it is safeguarded from future risks, understanding the differences between surety bonds and business insurance is essential. Many business owners and consumers use the terms bonded and insured, but they are not the same. A surety bond, offered by a surety agency, is a form of protection that involves three parties: the agency offering the bond, an individual or business covered under the bond, and the entity requiring the bond. The purpose of the bond is to ensure the business owner or company is operating in line with the rules and regulations in place for the industry. Should a customer or project owner be unsatisfied with the work performed, or if fraudulent practices take place, the surety agency pays the claim amount to cover losses incurred. Surety bonds, then, are not insurance in the traditional sense that they protect the business owner from losses or damages, but instead they safeguard those who interact with that business. In many industries, including construction, a surety bond is required as part of the licensing process. Business insurance is a different method of protection than a surety bond. There are only two parties involved in the transaction: the insurance company and the insured individual or business. The purpose of business insurance is to protect the company or the business owner from losses that are the result of damage, theft, or legal liability. There are several different types of business insurance, including liability, worker’s compensation, and property and casualty coverage, all which offer different levels of protection against financial loss to the owner. Insurance is meant to offer some safety net for the business for unforeseen events. Unlike a surety bond, insurance coverage is not a mandatory part of operating a company. However, it can be a valuable investment for business owners. Another significant difference between surety bonds and insurance coverage is the way each is priced. Surety bond costs are calculated as a percentage of the total bond amount needed, ranging between 1 and 15% for most business owners. The percentage ranges because surety agencies take a close look at the potential bondholder’s financial history and credit report to determine risk. If an individual has a lackluster credit history, the bond will cost more. Surety agencies consider financial factors in calculating the cost of a bond because if a claim is successful, the agency pays for losses and then expects repayment from the bondholder. In this sense, a surety bond is a form of credit extended to business owners. Insurance pricing does not have as much to do with financial history. Instead, insurance providers determine the cost of a policy based on other risk factors, including past claims history against other insurance policies, the amount at risk, and the type of coverage requested. When businesses are in high-risk industries, the cost may also be negatively impacted. However, unlike surety bonds, insurance benefits that are paid out due to loss or damage do not need to be repaid over time. For business owners in many different industries, a surety bond is a requirement to operate legally. Insurance, on the other hand, is an option for most. Be sure to check with your state or city to see what surety bond requirements are placed on your business, and work with a surety agency that is knowledgeable about those requirements to ensure you have the right coverage. For insurance needs, consider the risks you take on in doing business each day. This will dictate your need for insurance coverage and the amount you will want to put in place. Taking these small steps to protect your business reduces some of the risks you take on helping customers and clients. Here are some tips for you on creating what your heart desires; whether it’s the new car, house on the beach or a meaningful and profitable business. Step 1. Make the decision to go for it. This step is really more about permission. Giving yourself permission to go for your biggest dreams; as big, wild and crazy as they might seem! Once you decide, you will be amazed at what shows-up to help you make it happen…if you let it! You must have complete faith that the universe is showing you an amazing way to make all of your dreams come true. Size of the desire doesn’t matter to the universe. It has your back. Always. Think of a time when you made something amazing happen. That was You taking action on the divine downloads that were given to you. You just likely weren’t aware of it. Draw on that experience when you’re practicing standing in faith, until you have more and more experiences to draw from. That will reinforce this new belief, and you will start reprogramming your subconscious mind with empowered beliefs as a result. Step 3. You must feel worthy and good about yourself. This is this biggest one and where most people get tripped up. Myself included. You can overcome this though. It takes hard work and dedication, but you will prevail if you stick with it. Dig out that core belief preventing you from allowing yourself to receive. Once you do, you will become aware of it, and can start catching and shifting it. I can give you the tools for this and just reach out. You may have more of a vision, where it just comes to you, or you may visualize what you want. Either way this is powerful stuff! If you think it you can achieve it! Take some time daily to picture what it feels like to already have what you want. The feelings are the most important, and the more specific you are, the more connected to your feelings you will be. What will you do once you’ve achieved ______? Who will you be with? How will your life and relationships be different? How will you feel? What does this mean to you? If that wasn’t big enough, I’ll say it again! PERSEVERE. This is where the magic is. You must not fall victim to your current circumstances and instead believe with all of your might that the way to make it happen is there. You must keep taking action every step of the way and keep moving forward. This is the key to unlocking your success. Where all of you dreams will come true. It works. All the time. What are the most common blocks to getting started in an entrepreneurial venture? Marina Cummins has worked in digital marketing and product development for more than 10 years. 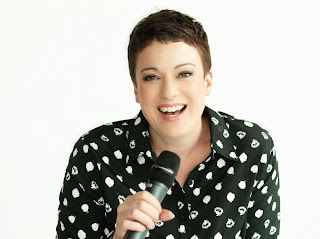 She has spent the majority of her career at large, well-respected organizations including Forbes magazine, The Economist magazine and American Express. She has an MBA from Wharton in Marketing and Entrepreneurial Management and a BA from Dartmouth College in Art History and Psychology. 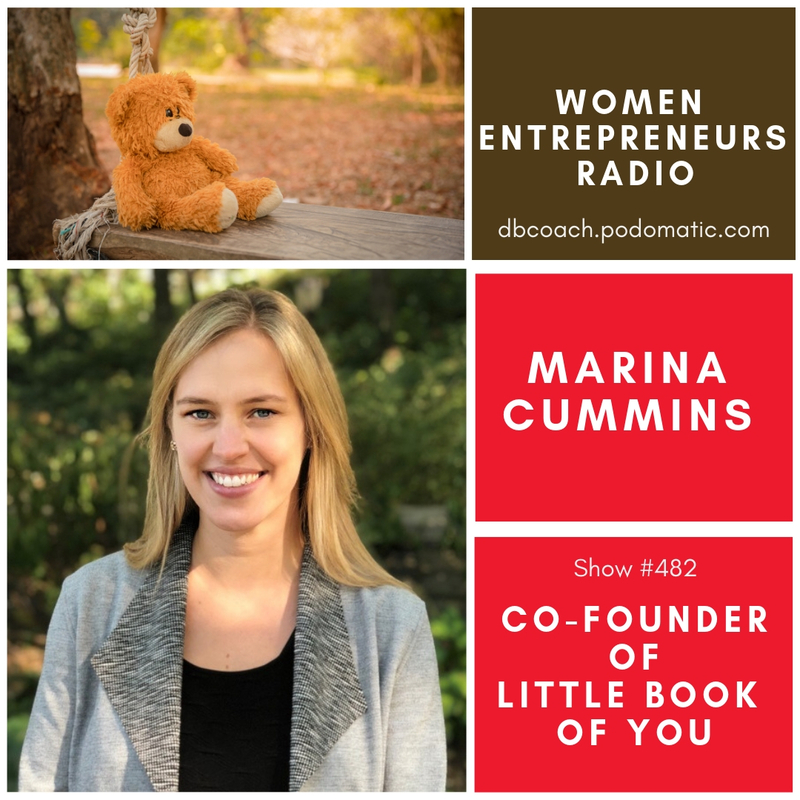 Marina co-founded Little Book of You with her husband James in 2017. The company combines their love of books, technology and, most of all, family. Marina and James live in New York City with their two young daughters Lila and Louisa, and their mischievous golden retriever, Stella. If you’ve been wondering where you can find some of the best blogging tools, then you have come to the right place. 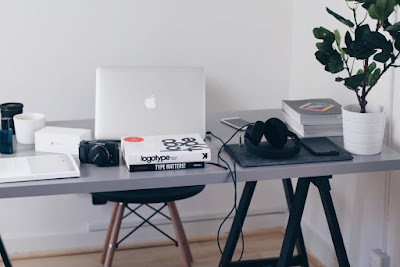 This article is all about the best blogging tools available in the market which will help you become a successful blogger and make you productive at the same time. With the blogging world growing each day, it becomes important for you to make it stand out and with the help of right blogging tools you can easily achieve this aim. Buffer is one of the best tools when it comes to managing all social media accounts in one place. It makes it easy for bloggers, marketing teams, and businesses to analyze their performance, schedule posts, and manage all their social media from one place. Instead of going to 6 different networks, you can simply check analytics and schedule content for all your social accounts in just one place. Moreover, Buffer publishes your social posts automatically, as per the posting schedule you’ve put in place. If you are a blogger then you just cannot miss out on this tool. Grammarly ensures proper spelling and grammar in your article/blog post. A good article/blog is that which is free from any grammatical errors, and Grammarly is just the perfect tool to write error-free posts. You can directly type and write in the app so that you can easily click on the corrections without any interruptions in the flow. SEMRush is an all-in-one marketing toolkit for all your digital marketing needs. Its one of the most powerful tools every blogger should use to grow their search engine traffic. With the help of this one tool, you can do everything pertaining to SEO, social media, and content. You can collect brand mentions, discover trending topics, seize new promotional opportunities, adjust content based on the engagement data, and much more. 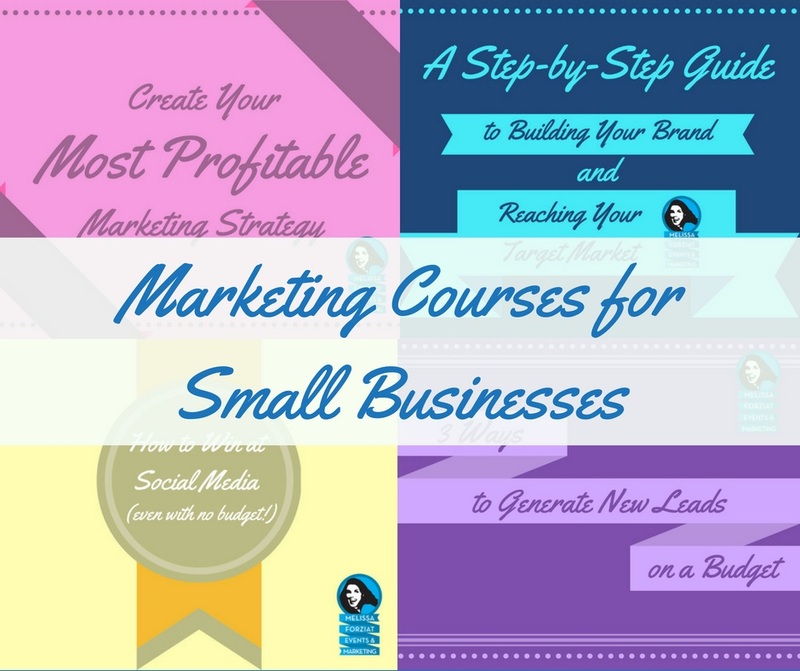 You can also build the most effective social media strategy, discover best-performing posts, do technical SEO audit, and more. Evernote helps you feel organized without any effort. It helps you capture and prioritize ideas, to-do lists, projects, and more to ensure that nothing falls through the cracks and you can focus on what matters the most to you. With Evernote, you can never lose track of your deadlines and tasks, manage everything from personal moments to big projects, and capture inspiration and ideas in pictures, notes, and voice. Sendible is one of the best social media management tools for bloggers, businesses, or agencies. It is simply the best way for teams to manage social media and get desired results. It helps you to be more productive, irrespective of whether you are focusing on a campaign for one brand or hundreds. It manages all your activities pertaining to social media from a centralized hub. This tool will definitely save your hours each day without sacrificing the quality so that you can get back to doing the stuff which is more important like lead generation, content creation, etc. Revive old Post makes sharing posts automatic and easy. It helps you keep your content alive and grow your social media presence. It directly integrates with your WordPress posts and picks up a post randomly from your archive to be shared at the intervals you choose. It is basically a WordPress plugin which is built to pick up your old content and share it on autopilot on all your social media accounts. It supports all the popular social networks such as Facebook, Instagram, Twitter, LinkedIn, and more. Wordable lets you instantly export Google Docs into WordPress. Draft your content and collaborate on Google Docs like you normally do and export it into WordPress seamlessly by clicking just one button. The tool is just perfect for solo bloggers, blog editors, and content managers. It exports Google Docs as a draft so that you make any final adjustments and then schedule and publish it. Copy pasting your content from Google Docs to WordPress is a very time-consuming thing, but Wordable is a faster and a better way to export your content, thus saving a lot of your time. How would you feel if you write something with full dedication but it gets rejected because of a failed plagiarism test? All your efforts will go in vain. Which is why every blogger and writer should use a plagiarism checker tool like Copyscape every time before sending or posting their content anywhere. It is very important that you crosscheck on Copyscape whatever you’ve written to make sure that it is unique and does not exist anywhere else on the web. It is trusted by millions across the globe and is one of the best plagiarism detection solution available online. Trello lets you work more collaboratively and get more done in less time. Its cards, lists, and boards enable you to prioritize and organize your projects in a rewarding, fun, and flexible way. This project management tool makes it easy for you to create an editorial calendar for your blog. You can literally do everything that you need to manage your blogging process such as adding multiple team members, setting due dates, creating tasks, and a lot more. I hope this curation helped! I am sure these will help you become more productive, make your blog grow even more, and drive more traffic to it. What are your thoughts about them? Do you know any other important tool not mentioned in this list which is equally important? If yes, then share them with me in the comments below. 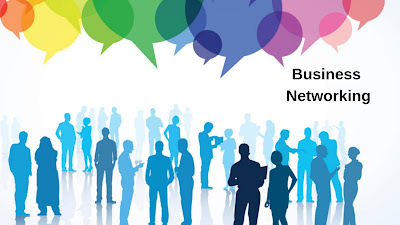 If you are the owner of a business or an aspiring professional, then business networking is essential for the success of your business/ career. But not all individuals/ entrepreneurs are good at it. Networking involves meeting people from different backgrounds and developing mutually beneficial relationships for the long run. It has been found that professionals/ business owners across different sectors don't think networking is necessary and due to this practice, they are missing out on several career/ business growth opportunities. Networking can be considered a full-time job under which individuals, as well as businesses, should build a solid professional network, even before they require it. How can a business network help individuals and businesses? Business networking requires time and energy from both individuals and businesses. This will help to develop a good network of contacts which consists of professionals as well as firms. Networking may seem daunting to many, but it's a skill which requires an individual to be bold and confident while approaching a group of strangers, greeting them and starting engaging conversations. In the beginning, it might seem difficult, but once it becomes a regular practice, the networker automatically improves his/her skill and this will, in turn, prove beneficial for career/ business opportunities. • A business owner can increase their brand's visibility by visiting all social and business-related events which are conducted in their area or outside. • A business owner should focus on developing an effective network of partners which will help them as well as their partners to identify new business opportunities for one another. After all, networking is a mutually beneficial practice. • Networking is a great tool which business owners can use to conduct executive searches. This is done by approaching contacts directly or indirectly to get information about important individuals who have the potential/ experience to accelerate business growth. • As a business owner, the focus should also be on making your presence felt in your community. A good reputation will also help in attracting and retaining talented employees. • Try to create a diverse network of business people as well as professionals. This will help to share and learn creative ideas within that community. • There are many business networking events which revolve around fundraising and volunteering. Such events are a great platform to build acquaintances with people working for the development of society and various other issues. • Build a strong network with employees within your organization. This will help to get work done more smoothly and also create mutually beneficial relationships. • Online social networking sites such as LinkedIn, Facebook and Twitter are a great way for individuals as well as professionals to build an online network of like-minded people. This medium will help people to share their views and ideas, and it is also suitable for those who are not comfortable in a face-to-face setting. It's up to you whether you want to create a local community or one which reaches people located all over the world. • Build a strong network within your organization with co-workers. This will help to get work done more smoothly and also create mutually beneficial relationships. • The best part about networking is that it also helps to build friendships. 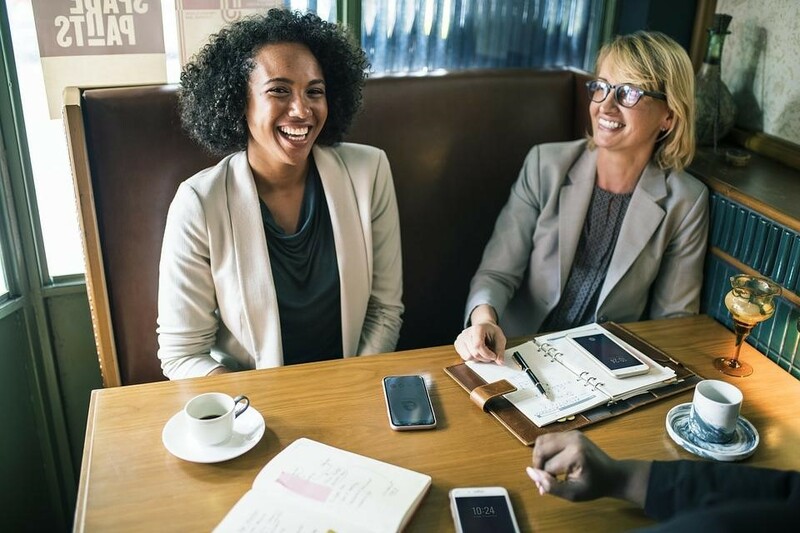 Yes, business networking is important, but making friends with that networking can help to build more trust and also makes the interaction more exciting and fun. Successful business networking should never be done for achieving self-interests. While building strong network individuals as well as businesses should be focused on the needs of others and how they can be fulfilled. This will help to build trust and understanding between both partners. Also, you can rest assured that these efforts will come back to you in the most unpredictable and unexpected ways. Lastly, when the focus shifts towards others, then the networker develops a sense of self-awareness. This is the moment when individuals/ business owners can relate to the issues others might be facing, or they can also implement ideologies, strategies as well as the vision of other thinkers into their business/ career growth activities. Hiring Director at Alliance Recruitment Agency – an IT Recruitment Agency. 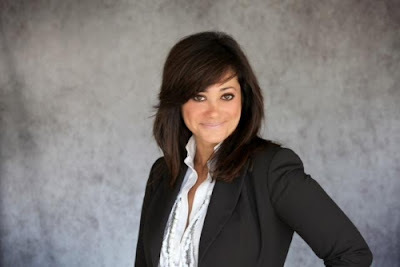 She specializes in helping with international recruiting, staffing, CV sourcing, CEO Executive Search, HR services and Careers advice service for overseas and international businesses. This is Why You Want a Woman as Your Real Estate Agent! In addition to hiring a real estate agent who is business savvy and tech savvy, you should also keep one critical aspect in mind – their gender! In the current age, gender equality is being demanded increasingly. In fact, there’s no denying that a couple of skills allow one gender to fare better than the opposite gender. So, the question arises; what makes a female real estate agent more effective than a male agent? For starters, it’s dangerous to make blanket generalizations about genders, but you can’t deny that women make for great real estate agents. If you are still not convinced, maybe the top five reasons below on why you want a woman as your real estate agent will. In his 1992 best-seller, “Men Are From Mars, Women Are From Venus,” author John Gray argues that each gender’s communication styles are so diverse that it’s difficult for them to understand one another. Research goes further to reinforce this notion by indicating that women process language more fluently and effectively compared to men. Female real estate agents are more adept at tailoring their communication by mirroring their language, therefore easier for them to create a deeper rapport. Further research indicates that women are better at interpreting facial expressions and voice tones. These traits help a real estate agent who is listening to you and figuring out the real meaning of the property you want from your spoken words – an essential skill in the industry. Ok, some men do stop and notice their wife’s new haircut the minute she goes through the door. However, overall, women are much better at noticing the details. For example, women real estate agents can notice details in a simple apartments Frisco listing that men don’t. Furthermore, women are more likely to remember their prospects’ coffee choice, hobbies and even names of their kids or pets. 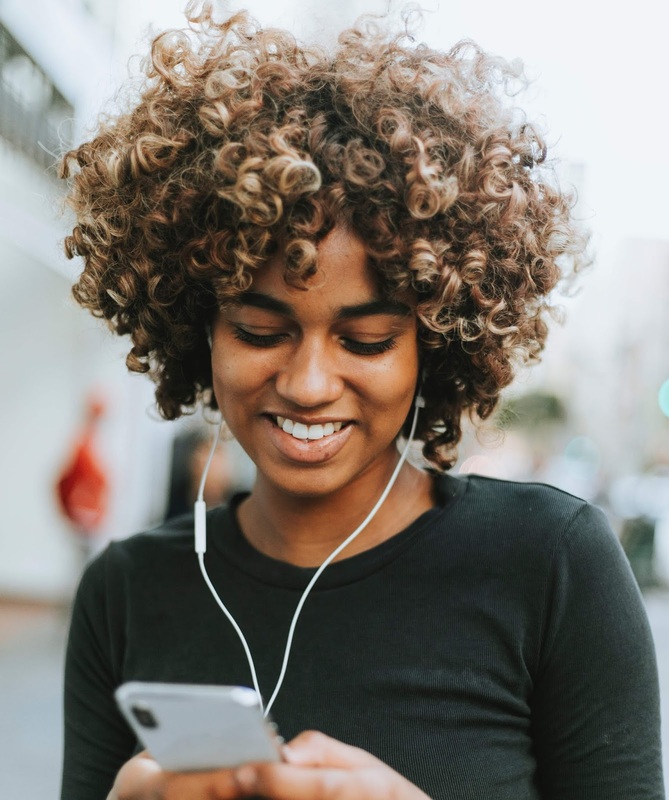 On follow meets and calls, they will use the details as conversation starters, making their clients feel someone is paying attentions – establishing a connection in the process. And these connections get sales. Unfortunately, stereotypes about women such as they are thin-skinned, prone to mood swings and overly emotional are still prevalent. 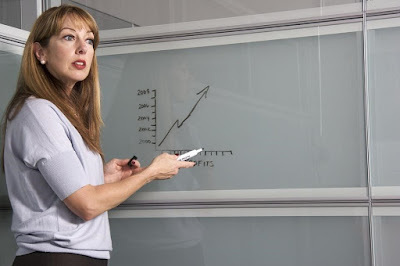 Therefore, a successful female real estate agent is likely to stand out, at least to some of their prospects’ perception, as having overcome these obstacles. If she’s able to keep pace with the real estate big boys, clients may reason (unconsciously) she is good. While location, location, location is the key to selling a home, persistence is the number one component to closing that deal. Did you know 80 percent of sales are never closed until after the fifth or more follow up? Fortunately, women are used to been persistence to achieve what they want. It’s a possibility that this natural ability to keep asking, trying and not taking no for the final answer is hardwired in women. Whichever it is, the persistence trait serves women well, particularly when selling houses. By 2017, there were only 32 female CEOs in the Fortune 500 companies. No matter the industry, a woman has to work harder than men not only to get ahead, but to hold her ground. When a woman goes into real estate, a male dominated industry once, you can be sure that she’s working her hardest to prove she can win. These reasons may be the reason why there are more female real estate agents all over the United States. Working with a woman agent ensures that you get more money! 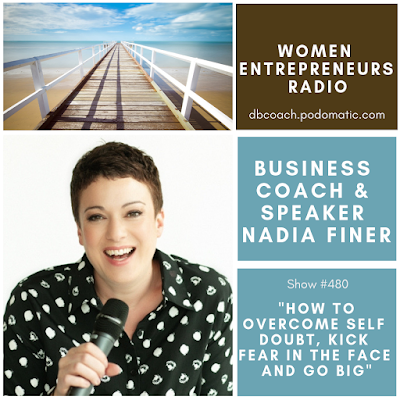 Topic: "How To Overcome Self Doubt, Kick Fear In The Face And Go Big"
Finer’s quirk? A voice so little callers to her home often ask for a parent! - How to scale your business in a way that works for you—and averts burnout. -Strategies include packaging services, launching a membership site, automating and delegating wisely (tip: never outsource your specialty), and raising prices. 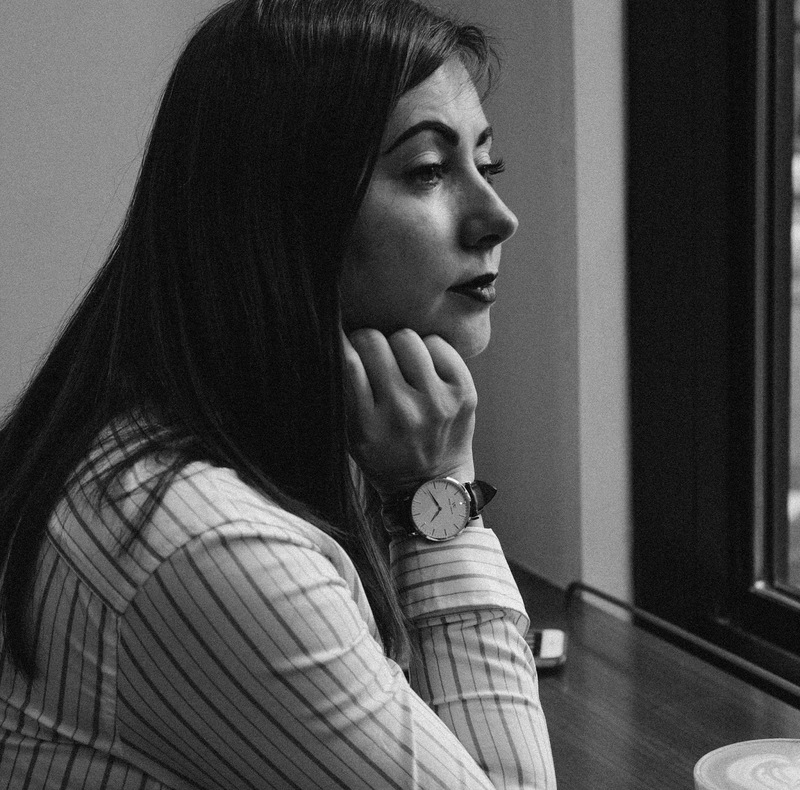 When the process of divorce is in the early stages, there are a wave of emotions. You might feel vastly relieved. You might have even felt like your marital issues were putting a crimp in your style or sabotaging your business in some way. Divorce is a two-edged sword: a sadness over a failed marriage and a relief that you can be you again. The divorce process itself is a time of healing. It is also a time for empowerment. Life doesn’t come to a screeching halt because you have decided to make a change in everything that is normal to you. This is especially true when you have your own business. When you are in control of making your own living, things cannot come to a sudden halt because one part of your life changed. You still need to keep moving forward. Your clients need you. Your business needs you. The fact is, you need you. As many divorced entrepreneurs can tell you: your business might be your saving grace. While some people are unwilling to admit or accept this, marriage in and of itself changes you, or rather you change to fit your marriage. Did it strengthen or weaken you? Did you like the changes that it brought out in you? No matter how you answer those questions, they made you think. Now think about this: What part of your marriage changed you in ways you both did and didn’t like? Who were you before you were married? As an entrepreneur, there is one more question that needs to be asked: Who have you become since you started your own business? This is the person you need to focus on. Chances are that the person who started the business is the one who takes center stage. You no longer need to focus on taking care of your marriage. You can pour more focus on your business and make it an even greater success. But if there were good things that came from your marriage that made your business better, then hold on to them. Learn from them. Incorporate the good and walk away from the bad. What is it that drove you to start your own business? For most people, it is something that comes from deep within. Perhaps you were unhappy working for others. Perhaps you knew that you would be better on your own. Whatever drove you to start your business is also what took hold and helped you succeed. This same drive can, and will, help you get through the divorce process. Just remember that you are an entrepreneur first and one of many successful divorced entrepreneurs second. By focusing on your business, you have little time to focus on the other things going on in your life. Your business is a part of you. It is not going anywhere. It needs you more than ever now. By putting more energy into your business, you will find yourself healing from your divorce more quickly. Your business would not be successful if it wasn’t your primary focus. Chances are that the issues leading up to your divorce took time away from your business. Now that those distractions are being removed from your life, your business cannot help but grow. While going through a divorce isn’t easy in any way, if your business becomes more profitable as a result of it, you will find yourself healing much more quickly than others going through the divorce process. You would not be successful if you were anything less than driven. Use that same drive to propel yourself forward with your business. The less you focus on the negative, the more the positive can come through. Positive thoughts and actions mean more money to the successful entrepreneur. By focusing on the positive, you can feel better, hold your chin up, and succeed like never before. Probably the most important thing to remember is that you will always be you. Being divorced just gives you a better opportunity to focus on you and your business. Ergonomics is to the process of arranging systems, furniture, and flow of a workplace in order to help improve both comfort and efficiency for you and members of your team. It actually plays a huge role not only in productivity, creativity and even safety, plus it can also help to improve co-worker engagement and increase their levels of happiness and satisfaction. Another huge benefit of optimizing ergonomic processes is that it can save costs, not only directly, but by helping to prevent a range of ergonomic injuries in the workplace. There is a lot of information online relating on how to improve ergonomics in the workplace. We've selected the most powerful office ergonomics tips that can be used to update your place of work. These changes do not necessarily cost a lot of money either, in fact, many can be made on a small budget. These simple adjustments will save your business plenty of money in the long run. Implement some of the ideas listed below and you'll sure to notice a difference in how your employee’s work habits and productivity. The first step to truly optimizing any workplace is to first understand the common injuries which typically occur in this type of setting. For example, in offices, you can expect to see repetitive strain injury things like back pain from poorly designed chairs, as well as musculoskeletal disorders, tissue damage, eye issues, and even spinal disc issues. Of course, the type of issues will vary depending on the type of workplace you have. So for example, office workers will be more prone to different injuries compared to people that work as mechanics. Understand the issues in your sector and you will be much more likely to create an optimised and safe work environment for your staff and yourself. A great to research is to simply ask your employees what issues they are having at work, what could be improved, what do they think needs changing? Once you have identified the main challenges within the workplace, you can then go about creating solutions for them. One of the most popular models when it comes to ergonomics is called the ‘four points of contact’ model. ● The eyes to the source which refers to the way that the computer screen is positioned in relation to the office worker’s face and eyes. ● The body to the chair, and this is also related to the seating area. ● The hands to the input device which refers to the mouse and keypad. ● The feet to the floor. Nowadays, almost all office furniture is labelled as ergonomic, so it can be confusing to know what would be best for your work as needs. However, there are a few things to take into consideration. You can take these considerations and adjust them into your own checklist. ● All chairs should be able to offer a height adjustment option. ● All chairs should offer padded backrest that can tilt both forward and backwards and has adequate lumbar support. 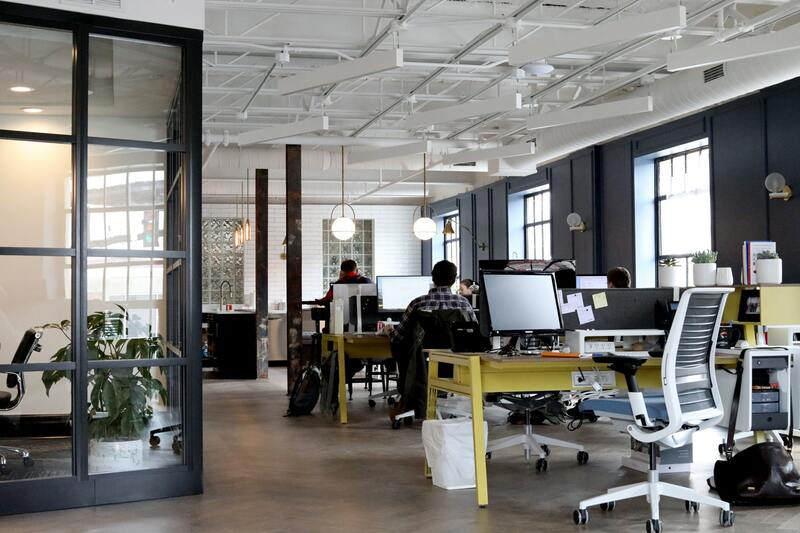 ● Any piece of furniture that is in the workplace station should be adjustable and have enough space for employees to safely and efficiently perform their tasks. ● Standing on your feet too long can sometimes create a variety of foot problems, so be aware of this if you want to replace seated desks for standing ones. Consider using the sit-stand ones (sit-stand-active ones would be the best) that allow you and you team members to use both functions interchangeably. ● Make sure that monitors have adjustable brightness and contrast settings, and are free from any form of flickering which causes eye issues. ● You may want to think about bringing in some extra furniture such as footrests to improve comfort, headsets or even better lighting in the office space. You can also help to better your office ergonomics by training up your staff. There are a number of different types of training that can help to educate your staff on how to best use their equipment and their bodies to prevent injury. It is important that employees know to frequently take a small break - even if it's just to stretch their body. Educate them how long to stand if they’re using the standing desk, how to use a sit-stand desk, as well as to mix up their movements so they're not doing the same thing again and again day after day is this it can cause injury regardless of what type of equipment they are using. You can also try things like having weekly yoga teachers come in and teach yoga classes to help your employees move their body. Pilates on the mat is also very good choice. Mat Pilates is a way to stretch and strengthen your body, primarily the muscles of the core, which span from your hips to your shoulders. This should improve the body composition and lessen chances of getting injured from sitting for long hours. There are also things like meditation classes which can encourage more efficiency and productivity too. Follow the above tips and you'll be making a huge change to your workplace ergonomics. And remember, these systems and techniques are continuously changing updating as more and more data on the study of ergonomics is released. So be sure to review and renew your systems at least on an annual basis. 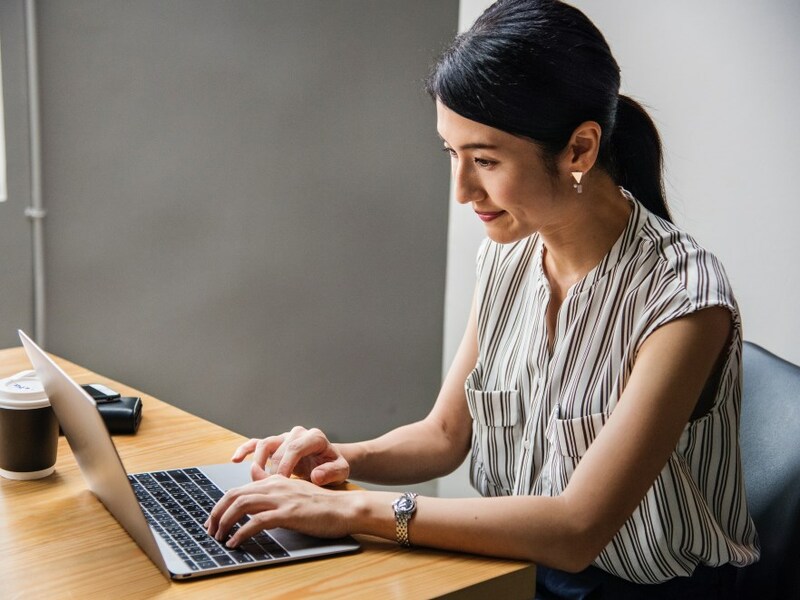 Whether you’re starting a new business or an established business owner with loyal customers, online reviews play an important role to success. Online reviews, whether positive or negative, can be the deciding factor for your customers to choose your business over another. Reviews give consumers the social proof to make a decision to purchase and trust in your business. As a business owner, it’s important to maintain a positive review presence and take the time to respond and engage with your customers. Use every review as an opportunity to understand your customer’s pain points and discover how you can improve your product or service. You also have the opportunity to start a unique conversation with your customers and be honest and transparent to correct a mistake or situation. To help you get started, Valpak outlines twelve helpful tips to gain positive online reviews and helpful approach to respond to negative reviews in their visual below. 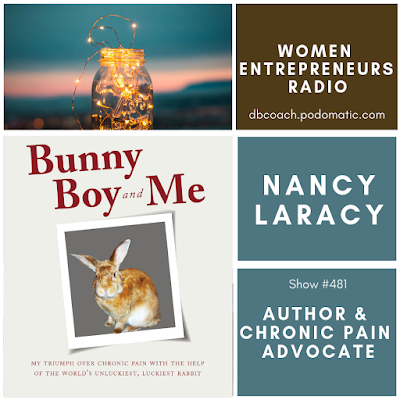 Nancy Laracy is a writer and activist for the elderly and disabled individuals. She is a wife and mother who suffers from a mixed connective tissue disease and fibromyalgia. 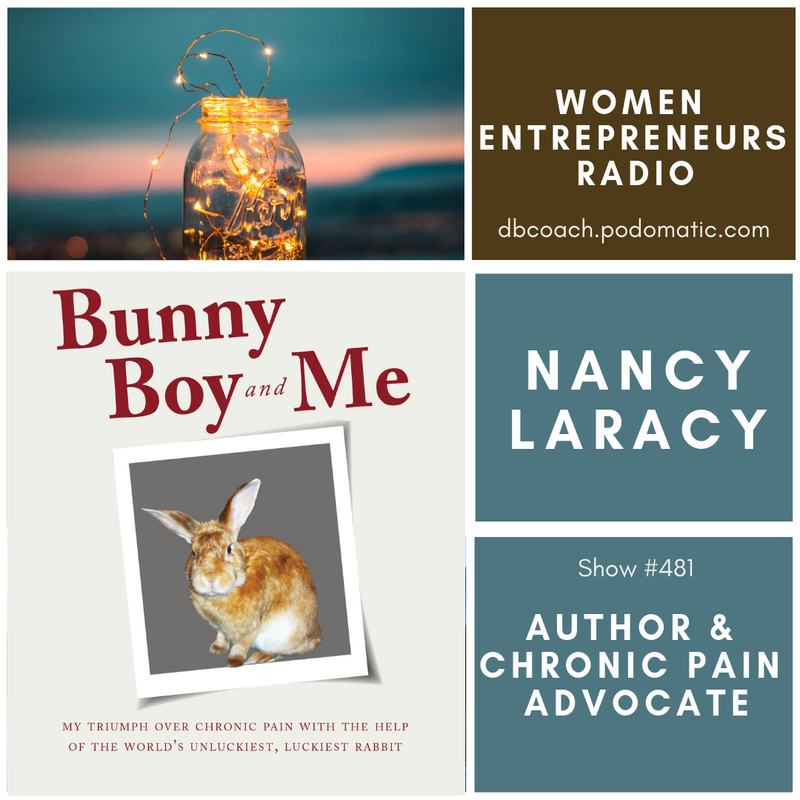 An advocate and resource for the chronic pain community since being diagnosed in 1996, Nancy has written and been the subject of many articles on the topic of chronic pain as well as pet therapy. She is involved in formal bunny therapy at various rehabilitation centers & hospitals in northern New Jersey. A former corporate recruiting and human resources executive, she resides in New Jersey with her husband Ward, son Christopher, daughter Julie, and her current bunny named Muffin. 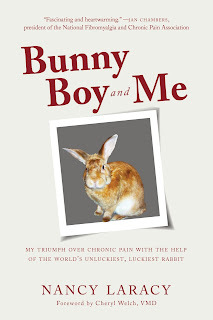 Bunny Boy And Me, My Triumph Over Chronic Pain With The Help Of The Unluckiest, Luckiest Rabbit is a memoir about the relationship formed between a house trained family pet rabbit and its owner who both suffered with the pain of autoimmune disease. Visit the website to find out how to get involved and see a list of participating organizations and global campaigns. 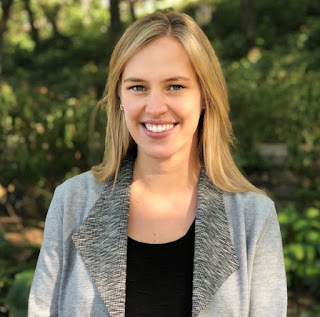 Listen to a Women Entrepreneurs Radio interview with Megan Shea, the Co-Founder of The Soulfull Project, a startup company dedicated to making high-quality, wholesome food available to those in need. For every serving of their delicious multi-grain hot cereal purchased, they donate a serving of their 4 Grain Blend to a food bank in your region. Megan and Co-founder Chip Heim, were inspired to take action after witnessing firsthand the severity of food insecurity in our country. – Cinnamon Spice, Blueberry Almond, Brown Sugar Pecan and Tart Cherry and bags come in 4 Grain Blend and Hearty Grains & Seeds. Every hot cereal is made with nutrient dense ingredients such as steel cut oats, rye, quinoa, nuts, flax and chia and are all Non-GMO Project verified and Whole Grain Stamp approved. The company has donated more than 100,000 servings to food banks across the country and recently became a Certified B Corporation. The road to success is often not traveled alone. In fact, some 80% of CEOs say that they received mentorship in one form or another. How can you find the best mentor to give you entrepreneurial advice? It only takes a few simple steps to finding your perfect mentor. First and foremost, you must define your goals and identify who you admire. Once you’ve completed this task, you can ask questions and evaluate whether or not a potential adviser fits your style. When you find a suitable candidate, strengthen your relationship with them and make the ask. Whether your mentor guides you in finding small business funding or maintaining healthy client relationships, they play an essential role in the success of your startup. It was recently discovered that businesses who worked with mentors increased their revenue by as much as 83%. There is no need to be nervous to ask someone to be your mentor. Mentorships usually evolve from professional friendships, so it’s likely that you already have a good rapport with the person you intend to ask. Furthermore, it’s common to have multiple mentors over the course of your career. 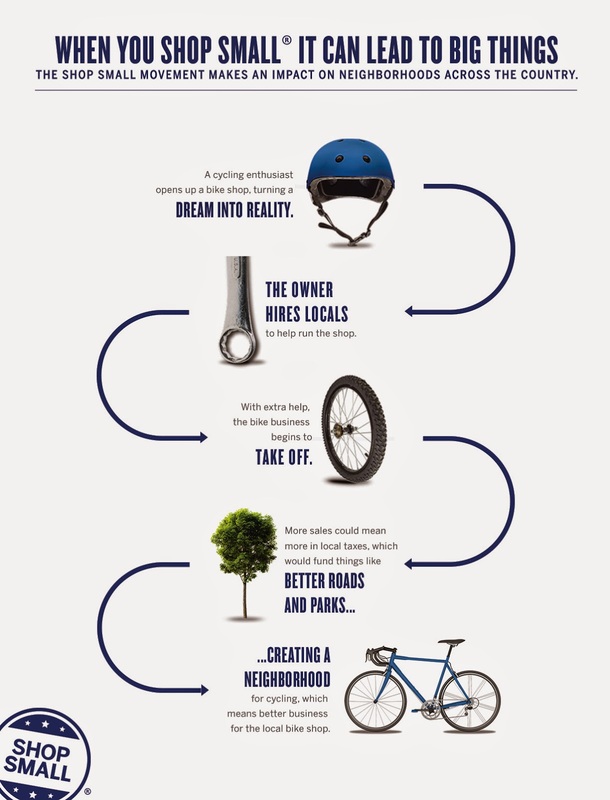 The visual below, provided by Fundera, explains the eight steps to acquiring a mentor. It also includes quotes from famous mentees, including Oprah Winfrey. Consider finding a mentor before you get too far into your business endeavor. November 24th is Small Business Saturday®, a day to celebrate and support the local small businesses that boost the economy and invigorate neighborhoods across the country. The Secrets of Success blog is proud to take part in Small Business Saturday, and we’re encouraging everyone to Shop Small® today! Visit my author page on Amazon.com to see my selection of business books, novels and audiobooks published through my indie publishing company, Bright Street Books. 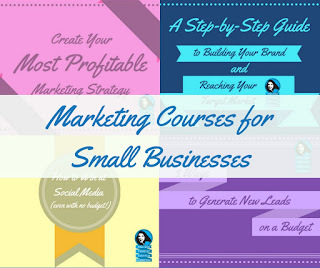 Online courses and resources to support you in business and in your personal goals. Visit the school to see the selection of courses available. I’m sharing my content and resources from my in-person and online presentations to business groups and non-profits. "These courses are designed to address the beats of the questions I often get. They are presented logically and offer in-depth exercises and guided instruction with videos, blogs, visuals, and worksheets. They cater to all different learning styles. They are self-paced and accommodate your tight schedule. Having boundaries in relationships are an important part of self-care, because what we allow ourselves to give and receive are crucial for our own well being and for that of others. It comes back down to self-love. Boundaries are about taking control of your personal space, thoughts and time. We are allowed to give ourselves permission on how we spend our time, and whom we spend it with. Having healthy boundaries means it’s okay to say no to relationships and events not in alignment with our values, and yes to people and experiences that fill us up. Here are 5 tips to setting healthy boundaries. 1. Be okay with saying no. It’s okay to say no to others. I remember reading something Life Coach, Cheryl Richardson once wrote. She said, "if it’s not an absolute yes, it’s a no". It’s empowering to live by this motto when deciding whether or not to do something. Another great way is to check in to see if it’s in alignment with your values. Take some time to figure out what they are first if you haven’t already, with some examples being; family, financial security, fun, spirituality, etc. It makes it easier to say no to something when it’s not in alignment with your values. I like to call this a gut check. You will know in your gut if it’s the right opportunity / experience for you to participate in. Don’t do things because you think you “should”. 2. Know that being afraid to say no comes from not waiting to hurt other people’s feelings and caring what others think. Having the awareness around this is key. It’s okay to take a stand for your own life and business. This is how you are going to create the life you are wanting. If others aren’t okay with you saying no, then they’re likely not people with whom you want to associate with anyway. 3. Find the language that will work for you. Decide on a sentence that will be your go to when you are not interested in doing what someone is asking of you. It could be something like, “I’m sorry that doesn’t work for me; or that’s not something I’m interested in, but I will think of others who might benefit”. Then practice it often. I remember when I first started coaching, one of our assignments was to say no at least once a week. It starts to feel more and more comfortable as you practice. 4. Your time is everything personally and professionally, and you need to spend it wisely. If you are looking to satisfy some type of dysfunctional need then you are not going to make the best choices with your time. Dig deep into what is really going on underneath the desire to say yes - ask yourself what you are really getting out of this? Is it the need to fix, be liked, etc.? Realize if it’s coming form a place of self-love or self-lack. When you do say yes to an appointment or commitment, stay true to your yes and see it through. Do not let outside circumstances or other people’s agendas sway you. This is about staying true to yourself and your values, and this is why it’s important to watch what types of commitments you are making in the first place. 5. Value yourself enough to include time for yourself and your growth in your calendar. This will help you with your overall quality of life. Treat this time like it’s a plane flight you cannot miss! This way you will not create an excuse or story around not doing it. Shirin Behzadi joined Budget Blinds as Chief Financial Officer in 1999, providing fiscal, strategic and operational guidance for Budget Blinds and the continually growing family of brands, including Tailored Living, Home Franchise Concepts, BB Commercial Solutions, Inspired Drapes, Concrete Craft and MADE Blinds. She oversaw prudent management of the National Advertising Fund (NAF) across all brands, helping to ensure that the dollars worked hard for our franchisees. Additionally, Shirin managed several departments and has been a critical member of the project management team, researching, planning, and creating Home Franchise Concepts and its subsidiary companies. Today, as CEO of Home Franchise Concepts, Shirin leads the executive team to direct all aspects of the company’s operations to expand the family of brands to become the largest retailers in the home improvement space. Deb Bailey: Welcome to the Secrets of Success blog, Shirin. How did you get started as an entrepreneur? Shirin Behzadi: My “start” as an entrepreneur wasn’t necessarily conventional. I began my career with Ernst & Young’s financial services group as a CPA, working with the company’s financial services client base including multinational and national corporations and individuals. But, despite success in one position, I’ve learned as an entrepreneur to always be open to new opportunities. From there, I went to an E&Y client, an Orange County, Calif., mortgage bank, to serve as CFO, where I was responsible for servicing a $1 billion portfolio. In attention to being involved in the operation of the bank’s 22 branches, I helped negotiate the sale and transition of the bank to a larger institution. It was then that I realized my passion for helping to grow businesses – so I decided to fill a gap in the marketplace for professional financial management for small-to-medium-sized companies. It was in this capacity as an offsite CFO consultant that I was introduced to Budget Blinds in 1999. What began as a short-term consulting project grew into me becoming CFO and one of five Budget Blinds principals. I’ve been involved in Budget Blinds – and eventually Home Franchise Concepts and our sister brands Tailored Living and Concrete Craft – ever since. In 2015, I oversaw the negotiations to secure an equity partnership for Home Franchise Concepts with a New York private equity company at which time I became CEO. So, you can see the importance of being open to new opportunities, no matter where they may be leading you. Deb: Are there any “lessons learned” that you’d like to share? 1) Recognize what’s most important to you and follow that. Being an entrepreneur means you have an opportunity to link your income to what matters most to you. This is something that most people don’t get the chance to pursue. I’ve found that my biggest success comes when I stay within my personal sweet spot – which, for me, is helping other entrepreneurs find the franchise opportunity that fits them best while striking the work-life balance that’s the cornerstone of my life. This is why we’re so eager to bring the same work-life balance or any other personal goals our franchisees have to fruition. 2) Don’t let others discourage you. Entrepreneurs and franchisees are a special breed of people that are comfortable with a measured level of calculated risk in exchange for financial and personal freedom and the prospect of something much better. Many may not understand or may be too fearful to pursue their own dreams. Often, these discouraging words are more about them than they are about you. Don’t take those comments to heart. Follow your path as paved by many. 3) Give Back. Probably the most valuable lesson I’ve learned is the importance of following your moral compass and doing right by others. I firmly believe that HFC brands have been able to meet aggressive growth goals precisely because they care about their customers, franchisees, employees and communities. We can never forget there is a very direct relationship between doing good and doing well. Earlier this year, we launched Heart & Home, a long-term commitment to caring and giving-back to transform the lives of individuals through ongoing national partnerships and local, community efforts. The initiative is an extension of HFC’s long involvement with veteran causes and other nonprofit groups. As part of this, HFC renewed its partnership with Home for our Troops (HFOT), to which it has donated nearly $1 million in products, services and cash gifts through a five-year alliance that began in 2014. Beyond this corporate support, the company has inspired its franchise owners to donate to HFOT at the local level – with some franchisees contributing as much as $45,000 in a single year. We also renewed our alliance with Wounded Warriors Canada to help even more veterans and others in need realize their dreams of obtaining work, career advancement, homeownership and the ability to transition to civilian life after military service. In addition, we just launched Budget Blinds Cares (#BudgetBlindsCares) in October, a three-month long initiative under our largest brand that reflects our give-back culture and is the largest community service initiative in HFC’s history. It spotlights Budget Blinds local business owners who give back on three local levels – to their communities, customers and customers’ homes – and includes a video-sharing contest to celebrate the most caring franchisees in the company. And finally, we launched a new effort with Working Wardrobes called Give Me $5, a fundraising program that provides veterans and others looking for work with career training, job placement assistance, professional wardrobe services and spending money to get to job training, workshops and interviews. Deb: Who are your company's ideal clients? Shirin: All of us at Home Franchise Concepts are committed to working with other enterprising individuals, even if they don’t yet consider themselves entrepreneurs, to empower then to realize their business-ownership goals. These would-be entrepreneurs are Home Franchise Concepts’ ideal clients – and they are open to the latest trends in the home products and service space that will fuel their future. Shirin: We celebrated our 25th anniversary year in 2017 by hitting some major milestones for each brand. We successfully reached our goal of 2.6 million Budget Blinds window-covering installations for 2017 (and 25 million installations since Budget Blinds’ founding year of 1992) at a record pace of 50,000 per week. Budget Blinds now operates more than 1,140 franchise territories across 10,000 cities in the U.S., Canada and Mexico. From its inception through the end of 2017, Tailored Living organized more than 245,000 lives and Concrete Craft installed more than 3 million square feet of decorative concrete. I’m proud to be ushering HFC into its next chapter with Heart & Home. Our goal for 2018 is to impact 300,000 families by transforming homes and giving families a sense of calm, dignity and pride. This is a challenge that we’re excited to meet. Shirin: As an entrepreneur, I always knew I wanted to chart my own course instead of following the path of others. I’m especially motivated to help others with similar dreams move beyond the conventional 9-to-5 to take control of their financial futures and their lives. Deb: What’s your vision for your business? Shirin: My vision is to work with my team to continue to offer our franchisees the ideal environment in which they can take control of their lives and futures to achieve their professional (and even personal) goals. We also envision adding to our 1,400+ franchise base with motivated individuals from all stages in life – from work-at-home parents and Millennials looking for an alternative to the 9-to-5 to seniors and veterans eager to transition into civilian life. Beyond that, my vision is to continue to evolve as a corporate and franchise family centered on caring and making our communities vibrant and full of hope. At HFC, caring and giving back will also be in our DNA. Deb: Thanks for joining us, Shirin. Please share website and social media URLs. Shirin: Enjoyed it, Deb. Here are the URLs.